With just under an hour to go in the race, Isaakyan’s car was spotted stationary at the top of Raidillon with quite a bit of damage. TV cameras missed the incident and although a few photos and accounts from spectators suggested the car had become airborne, the full extent of the crash wasn’t known - until now. 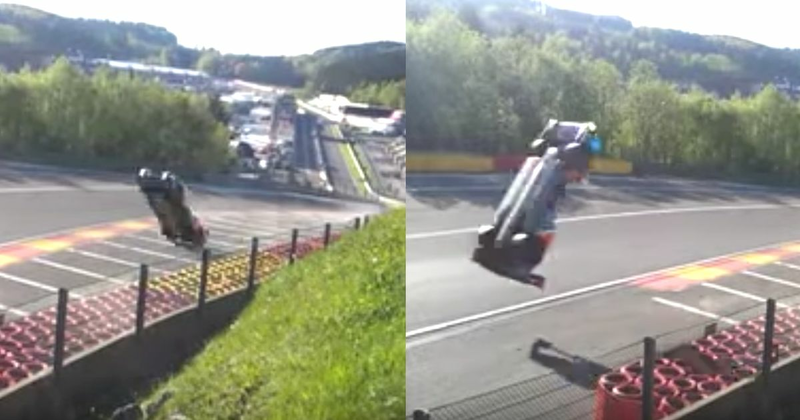 A fan shot video has captured the moment his SMP Racing BR1 prototype ran onto the runoff, causing the front of the car to lift up and leading to a dramatic backflip right over the crest of the hill. Incredibly Isaakyan was OK, but it’s not hard to see how it could have been so much worse. Where he was fortunate, Pietro Fittipaldi wasn’t quite as lucky. Also driving a BR1 (albeit entered by DragonSpeed), Fittipaldi crashed at Eau Rouge in qualifying and sustained some nasty leg injuries.